A newly announced trio of stars will appear on the star-packed cast album of The Other Josh Cohen. 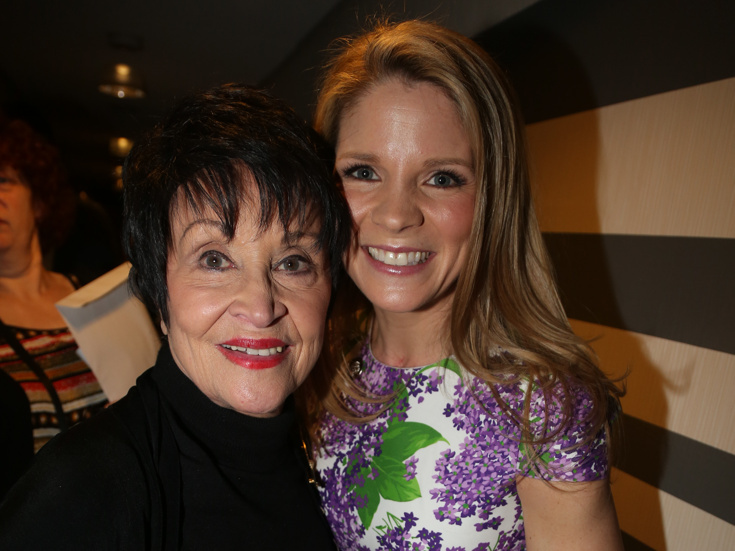 Tony winners Chita Rivera and Kelli O'Hara and Theatre World Award winner Jimmi Simpson have joined the lineup of talent set to lend their voices to the new recording. David Rossmer and Steve Rosen's hit musical begins its return run, directed by Hunter Foster, at off-Broadway's Westside Theatre on October 26 with an official opening night set for November 12. The cast album will be released on October 19. The Other Josh Cohen cast recording will also feature the voice talents of previously announced stars Sutton Foster, James Monroe Iglehart, Brian d'Arcy James, Richard Kind, Hank Azaria, Jenn Colella, Caissie Levy, James Roday, Lindsay Mendez, Celia Keenan-Bolger, John Ellison Conlee, Sara Chase, Sarah Bishop, E. Clayton Cornelius, Jeremy Geller, Marissa Rosen and Rashidra Scott. The Other Josh Cohen centers on the titular character, who just can’t get a break. He's single, broke and to top it all off, his apartment has been robbed of everything but a Neil Diamond CD. Soon, though, his luck takes a turn when a mysterious envelope arrives that changes his life forever. Rossmer and Rosen will repeat their performances for the Westside Theatre run following prior engagements at Soho Playhouse, Paper Mill Playhouse and Geva Theatre Center. The cast of the musical will also include Hannah Elless, Kate Wetherhead, Elizabeth Nestlerode, Luke Darnell and Louis Tucci.